If you love secluded beaches, then the Amores beach is a must-visit on your travel plan in Balneário Camboriú. The beautiful sand, the clear water with white waves and the beautiful breeze, all make this place a rather special one in the city. You will often find more locals here than tourists. Whether you are looking for a quiet place to simply be or take a long evening walk along the waves, this place is a must-see. Do carry a small picnic with you if you plan on spending a few hours here. Carry beach essentials including sunscreen and bottled drinking water. How popular is Amores Beach? 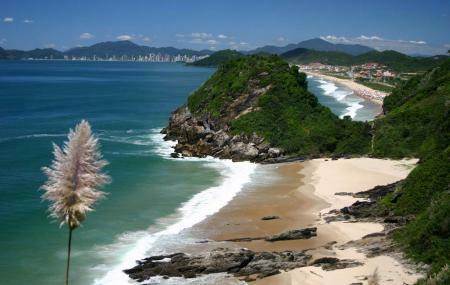 People normally club together Brava Beach and Morro Do Careca while planning their visit to Amores Beach.